My confession to you all is that I am terribly behind on my posts. Earlier last month I accompanied my BF and his family back to their home of Hawai’i. 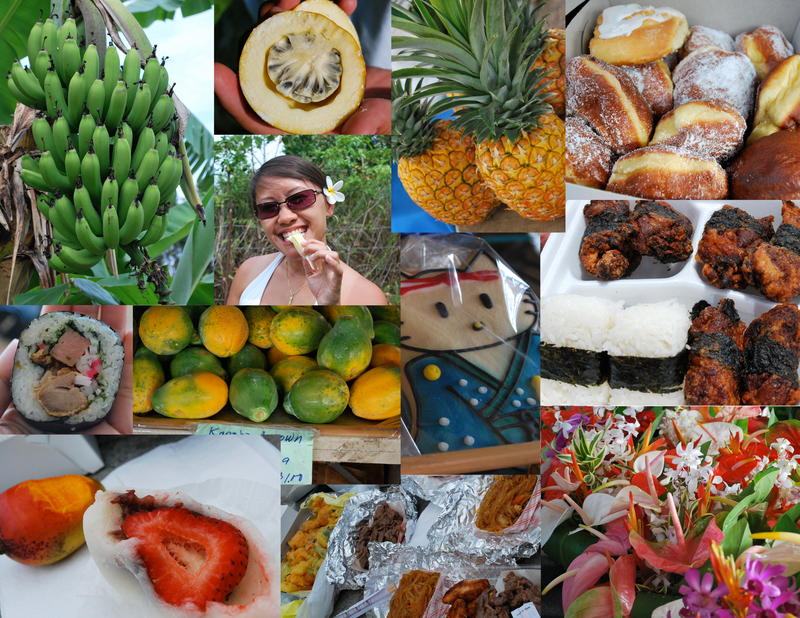 We spent 10 amazing days on O’ahu and their home island of Hawai’i (known as the “Big Island”). I proudly say that we indulged ourselves in the beautiful Hawaiian sun, played in the ocean, visited with friends & family…..and of course, partook in the amazing ‘Ono Grindz that one can only find in Hawai’i. Thus the next few posts will chronicle some of our favorite local food haunts and highlight the fruits of the land. Hopefully through it all, you will get to catch a glimpse of our Hawai’i and peek into the Aloha Spirit!